Seems like a no-brainer, but we’ve seen a lot of projects that miss this opportunity. 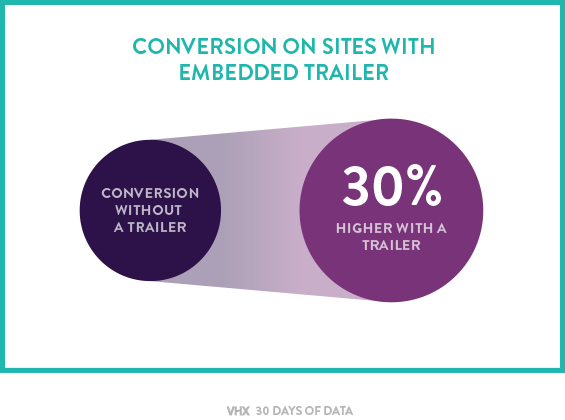 Make a trailer — or any kind of video teaser — and make it easy to find and click on your site! Titles on Vimeo OTT that have a trailer linked to their content and prominently displayed convert about 30% better than those who don’t. And since it makes everyone happy when people give things away, try offering the first 10 minutes of your video free, like The Death of Superman Lives did. It’s much more descriptive of your content and more likely to draw your audience in.